Amazing, engaging fun that really stacks up! 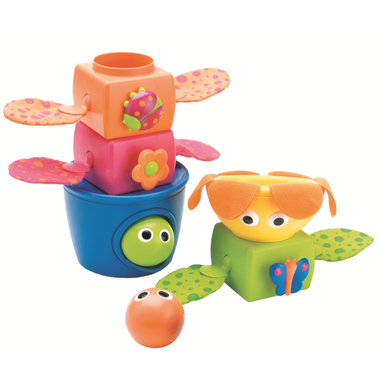 Stack up 5 big, colourful pieces, then drop three balls down the center. 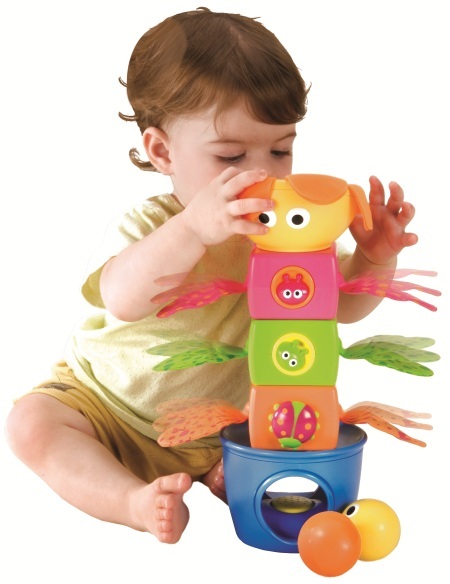 Hear fun sounds when they hit the bottom and come tumbling out.